In 1066, at the Battle of Hastings, William the Conqueror, the Duke of Normandy, defeated the Saxons. For the first time, his kingdom spanned both sides of the English Channel. He controlled both England and France. 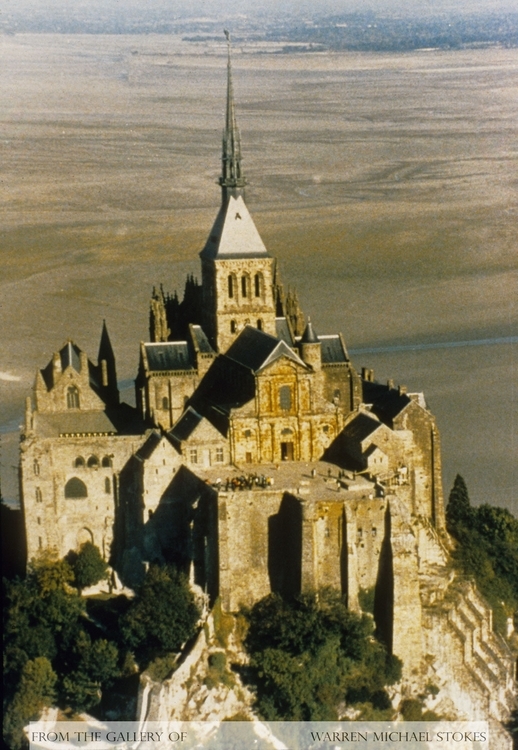 As a security measure, he constructed more than 500 castles. These castles provided strongholds for defensive purposes. At the same time, the castles changed the character of the aristocracy by giving the more powerful families a center of power. Almost always the building of the castle was followed by the building of a village for the local people. Historians regard the people who lived in these castles as aristocrats, great landowners, dukes, counts, lords, or as “nobles.” Nobles directly served the king. The estate that a noble received from the king was called a fiefdom. Within each noble household existed a group of vassals who pledged military service. By the late 10th century these men became known as knights. During the era of invasions and civil unrest it was common for knights and nobles to hold estates conditionally. Under this system called feudalism, a knight was granted land in exchange for a vow of service. The granting of estates in return for loyalty and military service was the best way for a noble to mount an army in a time when money was scarce. Largely, what the knights offered were military in nature. They would fight to protect the estate, and sometimes they would attack another estate. If his noble were attacked he would serve without pay for as long as the battle lasted. If it was his lord doing the attacking, the knight would be required to fight for the first 6 weeks for free. Fighting was not allowed on weekends and most religious holidays. Also, no one fought during harvest or the winter. Real feudalism as we think of it, only existed in the 10th and 11th centuries in France. Actually, feudalism can become very complex. Historians tell us the the term 'feudal system” is very misleading because for a long period of time there weren't any specific rules, and because the relationships between lords and vassals differed dramatically. For example, while most knights had land, some knights were landless. They probably had another type of pay arrangement. Many knights were deeply in debt as they were notoriously bad money managers. Also, some knights controlled several estates, by stating their loyalty to several lords. Probably the most common arrangement was for lesser nobles to hold an estate as a vassal of a duke, while at the same time granting “fiefs” to his own vassals, who were serfs or peasants. No matter what it was the serfs who worked the ground. The reciprocal relationships usually worked out well. As much as 80% of the population lived under some type of agreement. Finally, under the guidance of regional princes, feudal rights and obligations became well defined. Under the prince's interpretation, the vassal typically owed his own personal service to his lords army, plus the service of any of the other knights that lived on his estate. The feudal system serve as the principle economic, political, social, and military system in Europe from 900 to 1300.